A kitchen sink is incomplete without a dish drainer. Finding the right one that is truly worthy of your kitchen space is important because it determines the practicality of your dish washing chore. 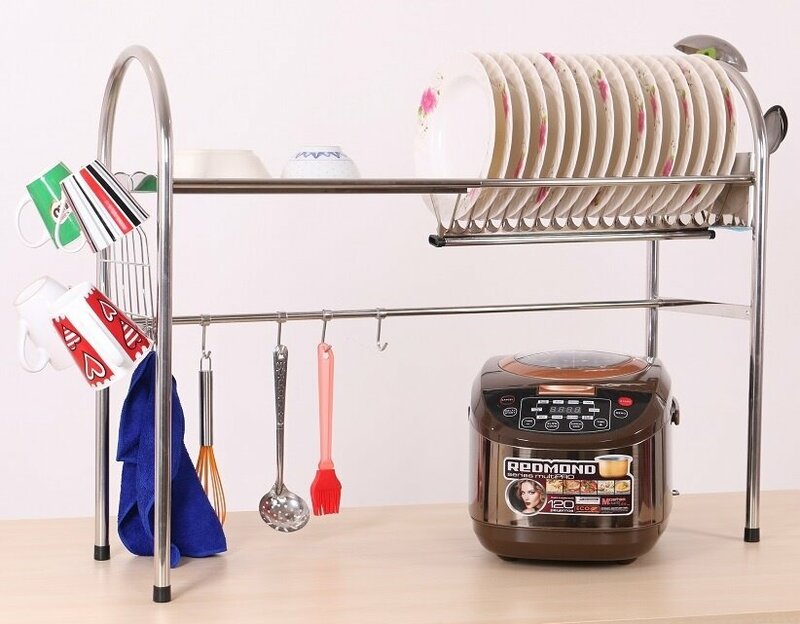 Right after you wash your dishes, of course you need a dish drainer that holds the dishes well together and provides sufficient space. 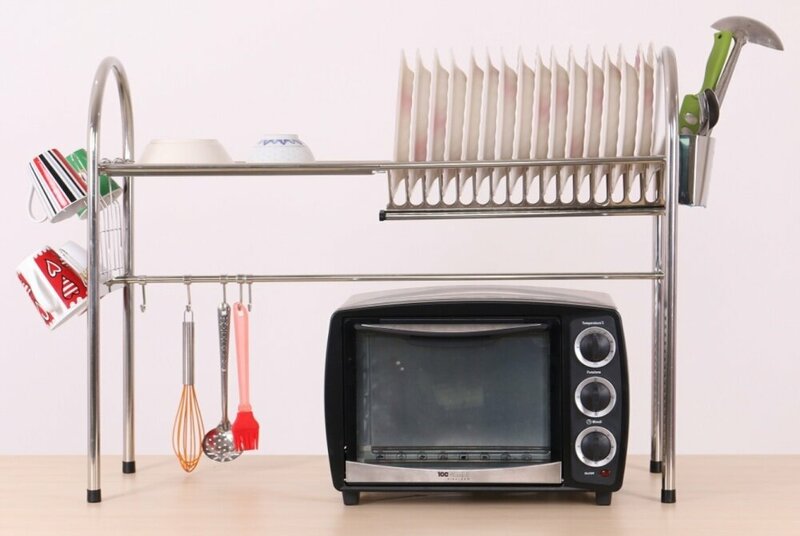 Introducing the Alpha Stainless Steel Kitchen Dish Drainer Rack with Chopsticks Holder, Utensil Holder Cup! 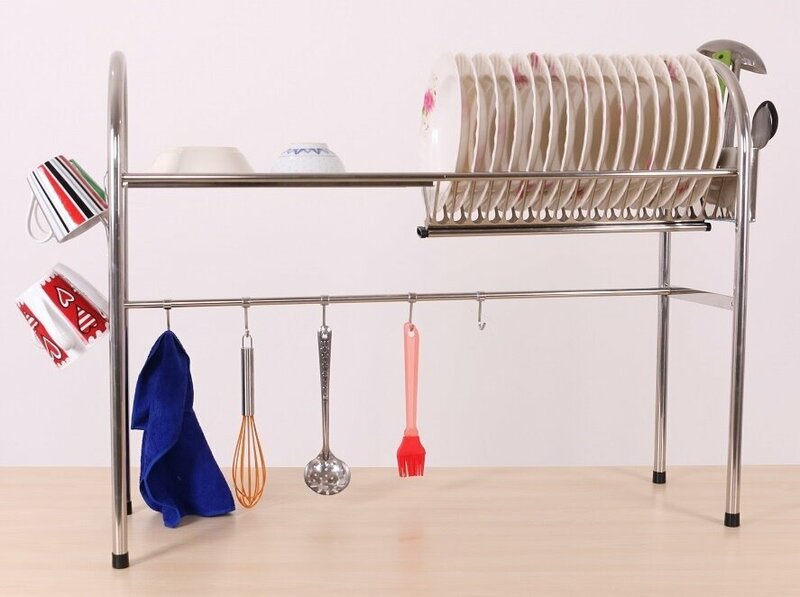 Made from 100% High quality material, this dish drainer is very stable and can hold many dishes at one go. Cleaning the drainer is a breeze too. To avoid getting any mould or slime on the drainer and its tray, make sure you wash them regularly. Just use mild soap or the washing-up liquid to scrub the drainer and rinse them thoroughly with water.